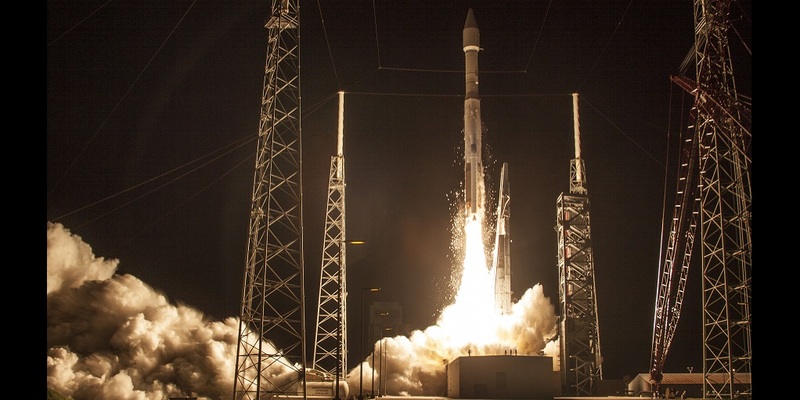 United Launch Alliance (ULA) successfully launched its 100th mission Saturday with an Atlas V rocket carrying the Morelos-3 satellite for Mexico’s Ministry of Communications and Transportation. The mission, procured for Mexico by Lockheed Martin Commercial Launch Services, launched at 6:28 a.m. EDT from Space Launch Complex-41 at the Cape Canaveral Air Force Station, Fla.
Orbital ATK’s contributions to the Atlas V and Morelos-3 satellite include cutting-edge technologies from across the company. Contributions include a large composite faring, retro motors and propellant tanks for the rocket, and thermal and structural components on the satellite. "Aerojet Rocketdyne is honored to have provided the Mexican government with reliable propulsion in support of its growing satellite communication needs," said Steve Bouley, vice president of Space Launch Systems at Aerojet Rocketdyne. "Congratulations to all our industry partners on yet another successful mission." ULA's next launch is an Atlas V rocket carrying a payload for the National Reconnaissance Office (NRO), scheduled for Oct. 8 from Space Launch Complex-3 at Vandenberg Air Force Base, Calif.